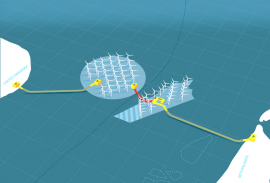 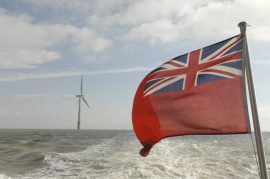 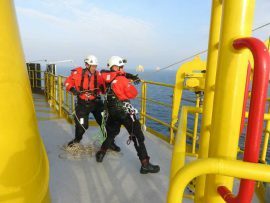 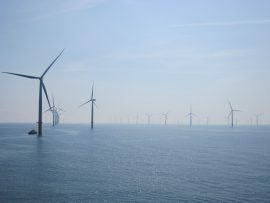 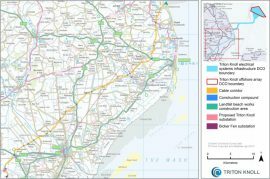 Vattenfall and TenneT have joined forces to assess the technical feasibility, regulatory challenges and the benefits of running an interconnector between a substation in the designated offshore wind area IJmuiden Ver in Dutch waters to one of Vattenfall’s substations in UK waters. 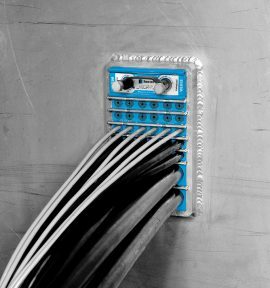 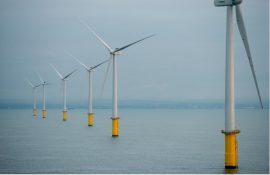 Oteac Ltd and HVAC & Refrigeration Engineering Ltd, part of the Nucore Group, have begun providing fire and gas detection and suppression services on the Walney Extension wind farm, which represents one in a number of the group’s recent offshore wind contracts. 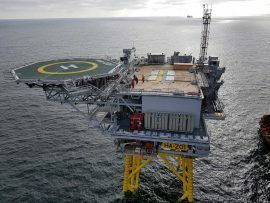 Petrofac has secured a five-year framework agreement with Transmission Capital to provide engineering services across six of its Offshore Transmission Owner (OFTO) assets. 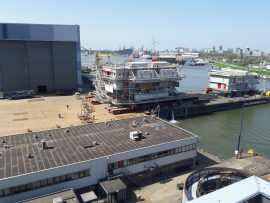 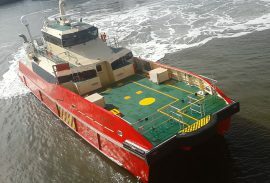 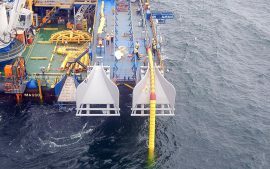 Osbit Ltd has recently delivered a height adjustable boat landing system to Gulf Marine Services’ self-elevating support vessel (SESV) GMS Endeavour currently deployed on Ørsted’s Hornsea Project One wind farm off Yorkshire. 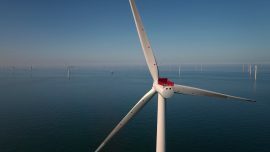 Van Oord has sold its 10% stake in the 600MW Gemini offshore wind farm to the ALTE LEIPZIGER-HALLESCHE insurance group. 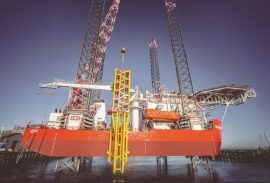 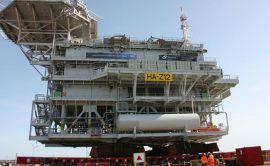 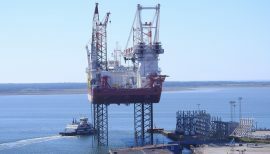 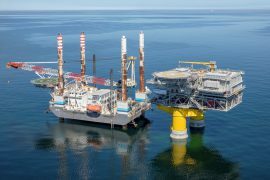 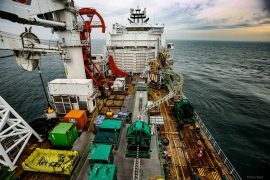 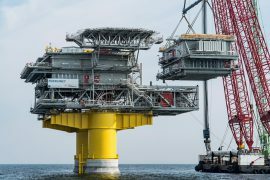 The first Hornsea Project One substation topside, Z12, has been installed at the site 120km off the Yorkshire coast. 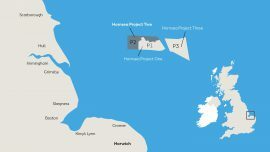 The 659MW Walney Extension offshore wind farm is expected to be commissioned in the third quarter of 2018, Ørsted, the developer of the wind farm off Cumbria, UK. 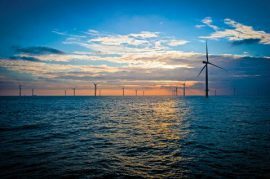 Seajacks Scylla has installed the last of the total of 87 wind turbines making up the 659MW Walney Extension offshore wind farm. 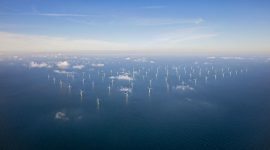 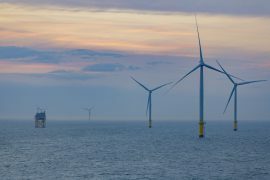 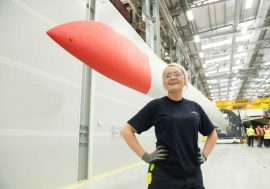 The project is now set to make the UK home of the world’s largest offshore wind farm for the second time, after it first earned that title with the 630MW London Array in 2013. 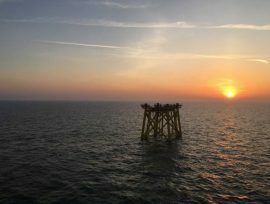 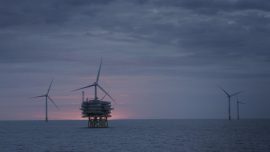 The first of the four jacket foundations has been installed at Ørsted’s Hornsea Project One wind farm site 120 kilometres off the coast of Yorkshire.